Since 1995, Ainsworth Technologies has been providing the global gambling market with exceptional, high-quality gaming solutions. Today, their games are listed in some of the leading casinos in the UK and other parts of the world. They recently released an exciting animal-themed video slot branded Winning Wolf. The game is considered to be one of the most appealing both in brick and mortar and online casinos. Its a Must Spin for all punters! With a nature theme, you expect to come across animals and birds like wolves, owls, squirrels, among others. If you are a big fan of Ainsworth slot games, you will notice that Winning Wolf slot have features and appearance much like Eagle Bucks. Even though the slot lacks the background music (something you expect in a nature-themed slot), you will find it thrilling and with many possibilities of winning big prizes. Upon loading Winning Wolf, you will notice a beautiful backdrop of the snow-filled wastelands of North America resting behind the reels. Lying beneath the reels is a river of mist flowing in between the mountains as the sky above produces a magnificent display a volcanic red and stars glittering. As you start to play, you will hear the howling of a wolf whenever you land a winning a combination. Additionally, you will find a buffalo, an eagle, an owl, a squirrel, moose, and standard card values marked J, K, Q, A, 10, and 9. Ainsworth Technologies have done an incredible job of ensuring that the slot is not only stunning but also easy to play. All the betting options are well arranged below the reels, including the paytable. The rules of playing Winning Wolf are much the same as other online slots. This game is played on five reels and has 100 pay lines which can be adjusted to play one pay line all the 100. Before clicking on the spin button, you need to set the bet to your liking. Click on the settings symbol on the bottom left-hand side to adjust the bet size and the number of pay lines to be played. The minimum bet starts from $0.01 per line ($1.00 for 100) up to 100.00 on each pay line. The (i) icon in the settings has the playing rules and the paytable. You have the option to use the Auto-Game feature which allows you to pick 5 to 25 games. To add on, there is an option for setting a single win limit or loss limit depending on your budget. Lastly, you can review your game history by clicking on the 'clock' button. As aforementioned, Winning Wolf comes with several unique features and symbols to increase the fun of playing and chances of winning big. The Wolf is the wild symbol of the game which appears on reels 3, 4, and five only. It can substitute for all other symbols except the scatter symbol. One good thing with the wild is that it can occupy the stacked wilds on the whole reel it lands. The snowy mountains in the backdrop represent the scatter symbol and landing 3, 4, or 5 anywhere on the reels will trigger a 2x, 10x, or a 100x your total bet amount. This will also activate the Free Games feature an additional eight free spins. Note that the games are slightly different when the feature is activated. The changes affect the paytable, as well, the wild symbol will appear on reels 2, 3, and 4, instead of 3, 4, and 5. The wolf will be frozen anytime it seems to remind you of the feature in play. You will unlock additional free spins in bulks of 5 when you land three or more snowy mountains scatter symbols on one free spin. Ainsworth Technologies uses the latest cutting-edge technology in designing their online slot games. Most of their video slots are developed with HTM5 technology which allows them to fit on small screen devices such as smartphones and tablets. The sound effects are perfect and the graphics superb, just like on desktops or laptops. Winning Wolf slot is available in instant play mode, meaning, you don't have to worry about downloading malicious apps on the internet. All the games can be accessed directly through standard browsers like Opera, Microsoft Edge, Chrome, and Safari. 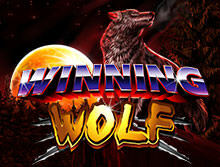 Winning Wolf is designed with the look of a land-based casino, with solid graphics and great sound effects. The features are also limited to give a decent touch and for easy navigation. The game slot has a medium to high variance and theoretical return to player of 93.85% ( slightly lower). 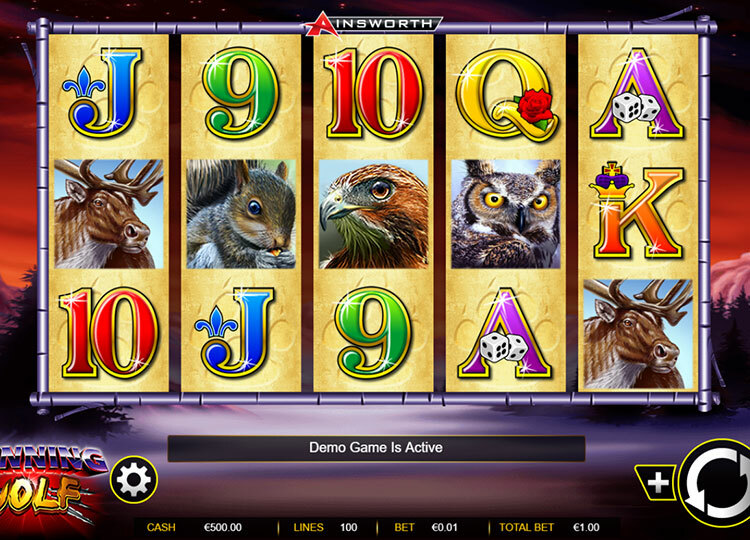 If you are on the hunt for a modern but classic slot game with multiple ways of winning, Ainsworth's Winning Wolf is the best there is. Sign up at your favorite casino and enjoy your gaming time.